Island states have a complex and complicated relationship with their primary air carrier. Politically as well as geographically an island state, Hong Kong may be the extreme example of that symbiosis. Still, Cathay Pacific is more than simply Hong Kong's free-market connection to the world beyond Greater China. The airline's creator, operator and still major owner, 200-year-old Swire Group, is nearly indivisible from Hong Kong, both as a state and as an idea. Swire's tentacles reach into real estate, hotels, retailing, investment, energy and even the bottling of soft drinks. It makes for a strange brew indeed. Here is how Cathay Pacific has navigated the very choppy political and aviation waters since Hong Kong reverted back to Chinese control in 1997. The most recent item is at the top, of course. Read up from the bottom for the full context. Delta Air Lines last month said that it would drop Seattle-Hong Kong nonstops. When flights end in October, Delta will be the third U.S. carrier to bail on the route. (United Airlines and Northwest Airlines have tried to make a go on Seattle-Hong Kong flights in decades past.) Maybe fourth time's the charm: Hong Kong-based Cathay Pacific Airways announced this week that it would launch Seattle nonstops on April 1, 2019. The four weekly flights will operate with Airbus A350-900 aircraft configured with business (left), premium economy and coach cabins. Why would Cathay try the Seattle run when Delta, which has a Seattle-Tacoma hub, couldn't make a go of it? The answer goes to recent losses at Cathay as it tries to persevere as a traditional premium-service airline. It hopes to return to profitability by flying routes where there is no direct competition. Also working in Cathay's favor: It already plays in Seattle-based Alaska Airlines' frequent flyer plan and logic dictates that the two carriers will now strike a deeper alliance. After all, Alaska Air has a wide range of international partners thanks to its "Switzerland strategy." Seattle will be Cathay's tenth North American gateway after its September launch of flights to Washington/Dulles. I reported last month on Cathay Pacific's existential crisis as a premium carrier competing in a world of knock-down fares and service. This week comes news that its 2017 loss tripled to about US$185 million, the first back-to-back annual losses in its 71-year history. Revenue rose nearly 5 percent, but passenger load factor fell, fuel costs jumped and other operating expenses also rose. Not a good combination, to say the least. 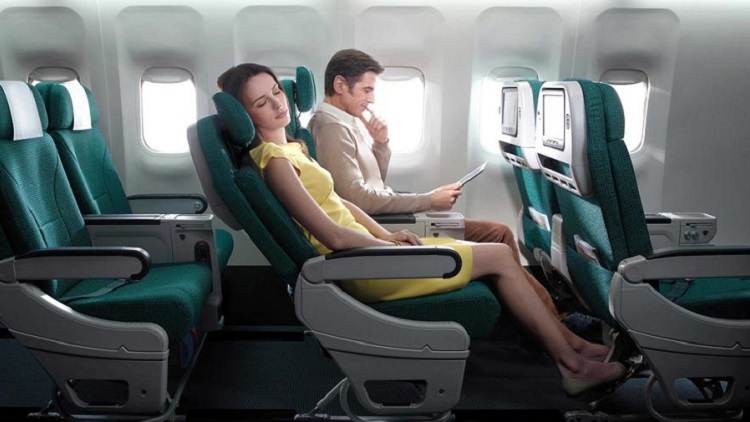 Also distressing: Cathay is adding seats to the coach cabins of its Boeing 777 aircraft. That means an unpleasant 10-across (3x4x3) configuration compared to the current 9-across (3x3x3) layout. Cathay Pacific is one of the world's best carriers. But how does it make money and continue to offer legitimately premium service when coach seats to Asia sell for around $650, premium economy sells for less than coach cost a few years ago and business class fares are plunging? This is an existential question for business travelers in general and Cathay in specific. How it is answered will define how we travel for years to come. Click here for full details. Acquisitive state-owned Qatar Airways this week shelled out $660 million for a stake in Cathay Pacific, which has been hard hit by discount carriers, rising fuel costs and several corporate missteps. That tidy sum represents a 9.6 percent stake in Cathay, the third-largest share after privately held Swire Pacific (45 percent) and state-owned Air China (30 percent). As you may recall, Qatar already owns a 20 percent stake in International Airlines Group (IAG), the parent company of British Airways and Iberia, and a 10 percent stake in LATAM, the Latin American combine that owns LAN of Chile and TAM of Brazil. What do these carriers have in common? Like Qatar Airways, they are members of the Oneworld Alliance. In fact, Qatar now has its corporate finger on just shy of 50 percent of Oneworld's global capacity. (Qatar also recently purchased 49 percent of unaligned Meridiana, an Italian carrier.) Qatar's chatty, aggressive chief executive, Akbar al Baker, makes no secret of his desire to cobble together a global virtual airline. The problem there? He was rudely rebuffed earlier this year in his attempt to buy a stake in American Airlines, the U.S. anchor of Oneworld. After years at British Airways' shabby and overcrowded Terminal 7 at New York/Kennedy Airport, Cathay Pacific is shifting to American Airlines' newer, less crowded Terminal 8. The move is effective on Sunday (January 15). Cathay operates four daily roundtrips at JFK, three to Hong Kong and one to Vancouver. "That's nearly 3,000 passengers a day," says Sebastien Granier, Cathay's sales director for the Eastern United States. 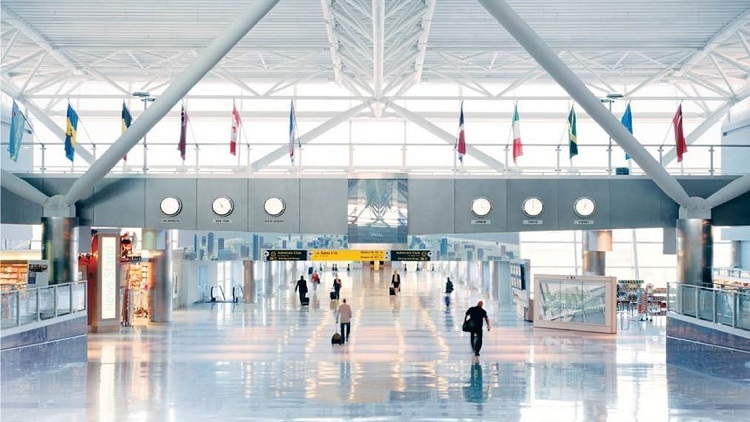 Terminal 8 "will give them a more sophisticated and seamless experience." As any Cathay flyer will tell you, BA's lounges are far below Cathay's standards. At Terminal 8, Cathay will have a dedicated check-in area and its premium class flyers will use American's AAdmirals Clubs. First class customers may also use the first class portion of American's new Flagship Lounge, due to fully reopen in April. Granier says six gates at Terminal 8 can accommodate Cathay flights. One other advantage: Cathay's code-share partner, American Airlines, provides about 15 percent of Cathay's JFK connecting passengers. They'll now have a one-terminal, airside connection rather than changing terminals and going through security twice. Cathay Pacific stopped selling at-the-airport upgrades in 2014, but at least one person wants the Hong Kong-based carrier to restore the practice for U.S. flights. And since that person is Philippe Lacamp, Cathay Pacific's senior vice president of the Americas, there's hope. "We're leaving millions of dollars on the table by not allowing passengers to buy up" when they reach the airport, he told me this week. "A lot of flyers arrive and feel like they want a little more space, more comfort and the extra service. We should allow them" to quickly, easily and simply purchase an upgrade. Lacamp said the airline eliminated the practice worldwide because it didn't want to cannibalize premium-class sales and flyers in other countries weren't buying more expensive seats because they knew upgrades would be for sale at the airport. "That's not the case here," Lacamp said. "It's much more of a spur-of-the-moment purchase here." So might Cathay resume at-the-gate upgrade sales for its U.S. flights? "It's a little bit of an uphill battle," he admitted. Will Allen has "run out of superlatives thinking about how to describe my recent experience flying in Cathay Pacific's premium economy to Hong Kong and back. I had to dust off my copy of Rodale�s Synonym Finder to look under words like 'best' and 'premier' in hopes of creating a more exhaustive list of ways to praise Cathay Pacific for making 16-hour journeys in the stratosphere not just tolerable, but comfortable, even memorable." Click here for Will's report. Cathay Pacific, which everyone rates among the best airlines in the world, has had a change of leadership in North America. Philippe Lacamp took over as senior vice president five weeks ago and it's something of a homecoming. The British-born, British-educated Lacamp was based in Canada for Cathay between 2004 and 2008. His focus now that he's in charge of all of North America? Making sure Cathay is as good here as it is in its hometown of Hong Kong. "We pride ourselves on the delivery of service. We've set a benchmark in Hong Kong and we don't want to be sub-optimal in North America," he told me. Besides, he said, "we are not a low-cost operation. We'll lose if we are viewed as a commodity airline." Where does Lacamp think Cathay can improve? For one thing, bringing its airport lounges in the United States and Canada up to the standards Cathay Pacific maintains in Asia. That explains the expansion of its four-year-old San Francisco lounge. Due for completion at the end of the month, the SFO club will jump to more than 9,000 square feet compared to its current size of around 5,500 square feet. New features include a self-service deli counter, an espresso bar manned by a dedicated barista and three more shower suites. Also on tap: a new lounge in Vancouver, where Cathay's current lounge isn't on par with some of its best airport clubs. The new YVR location is due in the spring. At JFK, where Cathay uses the lounge of its Oneworld partner British Airways, Lacamp says he's "looking for opportunities." It's China's world now and the rest of us are just traveling in it. Having already achieved the largest rural-to-urban migration in recorded history, Chinese travelers are expected to surpass U.S. businesspeople next year as the world's biggest spenders at airlines and hotels. The numbers and trend lines are staggering. "There is really good, double-digit growth to secondary cities," says Tom Owen, senior vice president of the Americas for Cathay Pacific. "China is throwing up all kinds of new traffic." Click here for my full report. For decades, Cathay Pacific restricted U.S. flights to San Francisco and Los Angeles gateways. But it eventually expanded east to New York/Kennedy, added Chicago in 2011 and launched Newark nonstops earlier this year. Next up: Boston/Logan. Cathay says it will launch four weekly flights to Logan on May 3, 2015. It'll operate the route with Boeing 777-300ERs configured with first, business, premium-economy and coach classes. What strikes me is Cathay's decision to run the Boston flights with a first class cabin. When Cathay launched its Newark-Hong Kong nonstops, it omitted first class. I expected a similar call on Boston. "We think there's enough first class demand," explains Tom Owen, Cathay's senior vice president for the Americas. "The tech and university markets should be good and we'll be drawing from all of New England." Besides, Owen says, he expects there will be enough first class seats from Boston for some upgrade and award travel, too. The other intriguing point about Cathay's Boston service is that it doesn't connect to a Oneworld Alliance hub and that means no feed from American Airlines or US Airways. And when you consider that US Air's Philadelphia and Charlotte hubs don't have Hong Kong nonstops, Boston flights are even more notable. "Boston jumped out because it was the largest market that we didn't cover," Owen says. "I know that we'll have to build our own feed and not rely on Oneworld, but I think the traffic to Hong Kong and beyond will justify our decision." No savvy business traveler cares when some organization or other names some airline or other the "world's best." Except for the public relations puffery, airline executives privately tell you they don't care, either. I happened to be in Hong Kong last month when Cathay Pacific won the 2014 "world's best" designation from Skytrax. So I checked with Toby Smith, Cathay's general manager of product, who's in charge of the carrier's in-flight product and lounges. What, I wondered, made an airline "best" in his mind? "It's not one thing," he explained. "It's a confluence of factors: the seats, the cabin interiors, the flight crews, the lounges. The overall combination of the experience is what flyers remember and what leads them to say you're better than another airline." 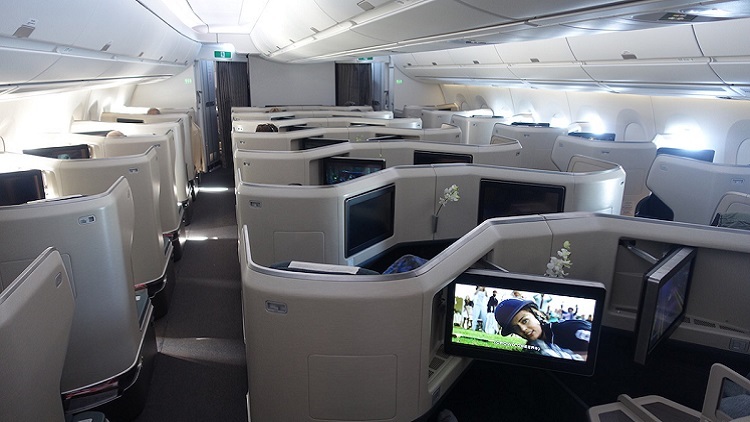 Which carriers does Smith watch as he plans Cathay Pacific's premium cabins? "We're very happy with our business class, we think it is the best," Smith said without boasting. "I'm not a fan personally of private cabins in first class, so I'm happy with our approach to first class, too. But I do pay attention to Emirates when it comes to in-flight entertainment systems and the content it loads. And Qantas' first- and business-class lounges are something I am careful to watch." So-called secret flights--a route between two destinations operated by the airline of a third country--survive. Consider the Cathay Pacific run between New York's Kennedy Airport and Vancouver, Canada. Cathay launched nonstops between New York and Hong Kong in 2004 and today flies three times daily between the two cities. It's also adding a nonstop between Newark and Hong Kong in March. But it continues the JFK-Vancouver-Hong Kong route because it's popular. "New York-Vancouver has a decent result for us," says Tom Owen, Cathay's senior vice president for the Americas. 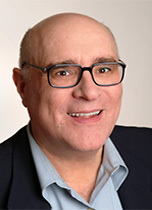 He claims Cathay commands 55 percent of the market between the two cities because customers prefer the airline's four-class widebodies on the nearly 6-hour transcontinental run over the two-class narrowbody service offered by competitors such as Delta, United and Air Canada. "We have flat beds" in business and first class "and no one else does," he explains. "And our premium economy cabin does well, too." Click here to read my full report on "secret" flights. It's one thing for Singapore Airlines to drop its ultra-long-haul nonstops to Singapore from Newark and Los Angeles. It's another for a network carrier like Singapore to be forced to sell two-stop connections to the nearby markets in Southeast Asia. That puts it at a competitive disadvantage with Cathay Pacific, which offers U.S. travelers many nonstop options into Hong Kong and easy one-stop connections throughout Asia. Cathay is growing, too. It adds a fourth daily nonstop to Hong Kong from Los Angeles in June and a nonstop route from Newark in March. There are also Cathay Pacific nonstops from San Francisco, Chicago and New York/JFK. The end of Singapore's nonstops "is an opportunity for us," says Tom Owen, Cathay's senior vice president of the Americas. "We can promote short connection times in Hong Kong to destinations such as Bangkok, Kuala Lumpur and Jakarta. It even makes us the fastest connection to Singapore." Cathay Pacific is adding another gateway city in the United States next year and its choice might surprise some flyers. On March 1, the airline will launch daily service to Hong Kong from Newark. The airline already flies four times a day from New York/Kennedy, a hub for Oneworld Alliance partner American Airlines and a key destination for Oneworld's British Airways. So why Newark, where Oneworld has no feed and Cathay must go head-to-head with United Airlines, which already operates nonstops to Hong Kong? "In order to grow further in the area, we had to go across the [Hudson] river," says Tom Owen, Cathay's senior vice president for the Americas. Besides, there is "a large market we weren't tapping in New Jersey and Philadelphia." That raises the obvious question: Why not fly from Philadelphia, where Oneworld may soon have lots of passengers if American and US Airways merge? "We couldn't assume a merger will go through," Owen says. Another decision: Cathay won't have first class on the Boeing 777-300ERs it'll use on the Newark run. Instead, it'll offer business class, premium economy and coach, roughly equivalent to United's configuration on its Newark-Hong Kong service. Just four years after it installed a new business class, Cathay Pacific is rolling out a new configuration. It's much more than an upgrade of the seat it first introduced four years ago. It's a radical reimagination of the original concept with more work and personal space, a better bed and a new angle on how to place seats. Click here for Chris Barnett's full report. Cathay Pacific doesn't add new flights lightly. It's been a dozen years since it opened a new gateway in the United States. But on September 1, 2011, Cathay will launch daily nonstop flights between Chicago/O'Hare and Hong Kong. Why ORD? Well, besides the fact that it's the logical place to add flights (Cathay already serves San Francisco, Los Angeles and New York), O'Hare has an American Airlines hub and American and Cathay are partners in the Oneworld Alliance. After months of turmoil caused by fears of the SARS virus, Hong Kong seems to have turned the corner. The World Health Organization has taken Hong Kong off its "do not travel" list and major carriers are beginning to restore their flights to the city. United Airlines resumed flying between San Francisco and Hong Kong last week. It is offering three weekly flights for the remainder of this month and will restore daily service in August. United will also resume flying from its Chicago/O'Hare hub next month and begin with four weekly flights. Meanwhile, Continental will restore its New York/Newark-Hong Kong service on August 1 with four weekly flights. And Hong Kong's hometown carrier, Cathay Pacific, is rapidly rebuilding its worldwide network. It expects to fly about 70 percent of its normal capacity in July and will be at 90 percent in August. Cathay's flights from New York and San Francisco are now back to daily operation; service from Vancouver, the airline's Canada gateway, is now at 11 weekly flights. Hong Kong-based Cathay Pacific has succeeded in its decade-long quest to resume flights to mainland China. The Chinese government is permitting the airline to fly to Shanghai, Beijing and Xiamen in Fujian Province. Of course, given the fact that the SARS epidemic has devastated traffic in China and Hong Kong, it looks like a Pyrrhic victory for Cathay. Travel to and around the Pacific Rim continues to be depressed by the collapse of Asia's once-robust economies, so "pass" plans to encourage flying in the region continue to abound. For example, Cathay Pacific has announced the latest version of the "All Asia Pass," the plan that has been at the top of everyone's best-buy list for two years running. The 1999 edition isn't quite as lavish as previous models, but it remains a tremendous bargain. For $999, passholders get 21 days of coach travel from the United States to Hong Kong and any of 15 other Asian cities. Passengers who book the pass via the Cathay website pay $999 and get 31 days of travel. The pass is valid during two long periods (January 15-May 7 and August 22-November 16) and permits transpacific departures on Mondays through Thursdays. There's a raft of customized options available for a reasonable surcharge, including business and first class upgrades. No one has been more aggressive in dealing with its declining Asia traffic than Cathay Pacific, the top-flight airline based in Hong Kong. The carrier's All-Asia Pass, already a bargain at $999 roundtrip, has just been enhanced. A basic All-Asia Pass permits coach travel from New York or Los Angeles to Hong Kong and as many as 17 other cities within 30 days. Now the price of a confirmed business class upgrade to Hong Kong has been cut to $999. First class upgrades have been reduced to $1,999. Other All-Asia Pass improvements include fewer blackout dates and additional "optional" cities in Asia, Europe, Africa, Australia, and New Zealand. They can be visited for as little as $200 each. Do business travelers care about in-flight food? For the answer, we asked to Peter Ho, Cathay Pacific's regional catering manager for North America. "Meals are still important on long-haul flights, especially for our repeat customers," he says. "It's also a fun thing, something to do, part of the in-flight entertainment. So now on flights we offer noodles, pizza, calzone, and Haagen-Dazs ice-cream bars." Passengers also prefer less structured in-flight meal service, Ho believes. "The trend is to an a la carte service, a buffet service," he says. "People don't want to be controlled. Even in first class, you're confined to a seat that's six by six feet, so you don't want to be told what to eat and when to eat it."